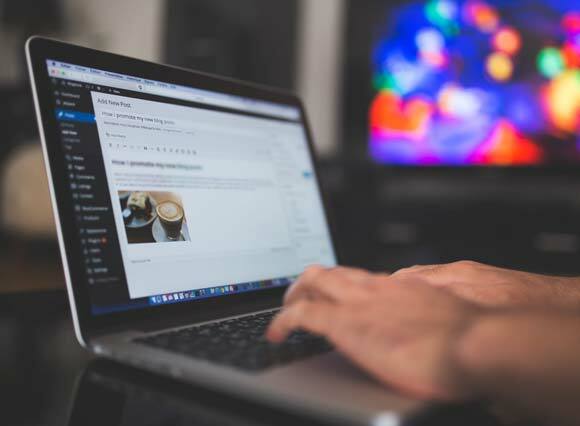 Having high-quality content is becoming increasingly important in today’s digital age as brands migrate into e-commerce sales opportunities as well as the development of their online presence. As a result, having a website also generates a pressing need for high-quality content to be successful in your business endeavors with brand awareness, conversion rates, and how you rank in search. Essentially, copywriting is a form of inbound marketing. Rather than pursuing readers and prospects writing generally focuses on creating things like blogs, articles, and infographics, which are designed to pull readers in and provide relevant and valuable content. By including important keywords in the page title, meta description and integrated throughout your copy, search engines can target those keywords and help you rank in search. In addition, a good strategy to follow is to always utilize your primary keywords in the very first sentence on the page. Once the keyword is present in early on, then you should embed that keyword throughout the rest of the page you are targeting. The more Google can find your keywords, the more efficiently relate the article to those keywords. It is also important to Include common alternatives of your keyword throughout each web page as well. This helps search engines validate that your page should rank for your keyword. It can also help your ranks increase for the related search terms. Use geography words alongside your keywords whenever appropriate. If your business is dependent on a client base located in a specific geographical region. By using words in your copy that are specific to your client base, the search engines can relate your copy, keywords, and the rest of your website to that geographical location. While writing copy for your pages, you should also include mentions to a few other key pages on your website that may relate. This endeavor includes embedding links to other pages and even integrating keywords that target those specific pages. The best way to ensure that your page ranks well in SEO is to generate a lot of high-quality content. Each of your pages should be very well-thought-out and descriptive in regards to the topic it is covering. Be sure to make your content interesting for real people, not just clients. Do your best not to get so caught up in using all of your keywords that you lose track of what will ultimately resonate with the audience you’re trying to attract. By populating your website with relevant, unique, and high-quality content through a webpage, blog, or social media account, your content is much more likely to build an audience and develop a solid reputation with your customers with relative ease. If you are interested in learning more about how Starkmedia can help you generate high-quality copy written content for your site, contact us today!